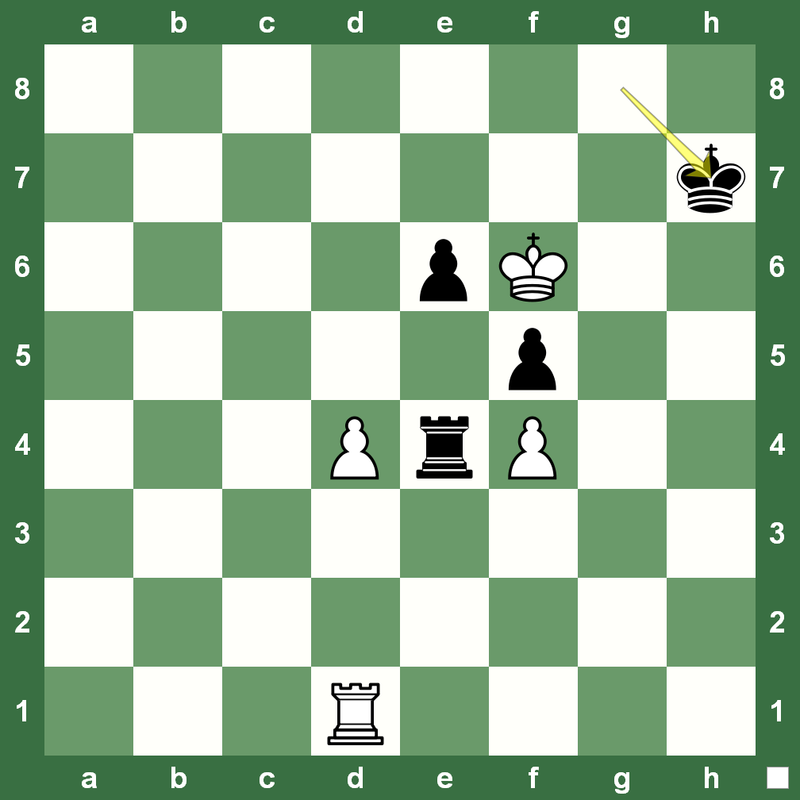 Alekhine Chess Memorial 2013 Round 7: World Title Challenger Boris Gelfand joined Maxime Vachier-Lagrave in the lead at the tournament with this win over Chinese GM Ding Liren. 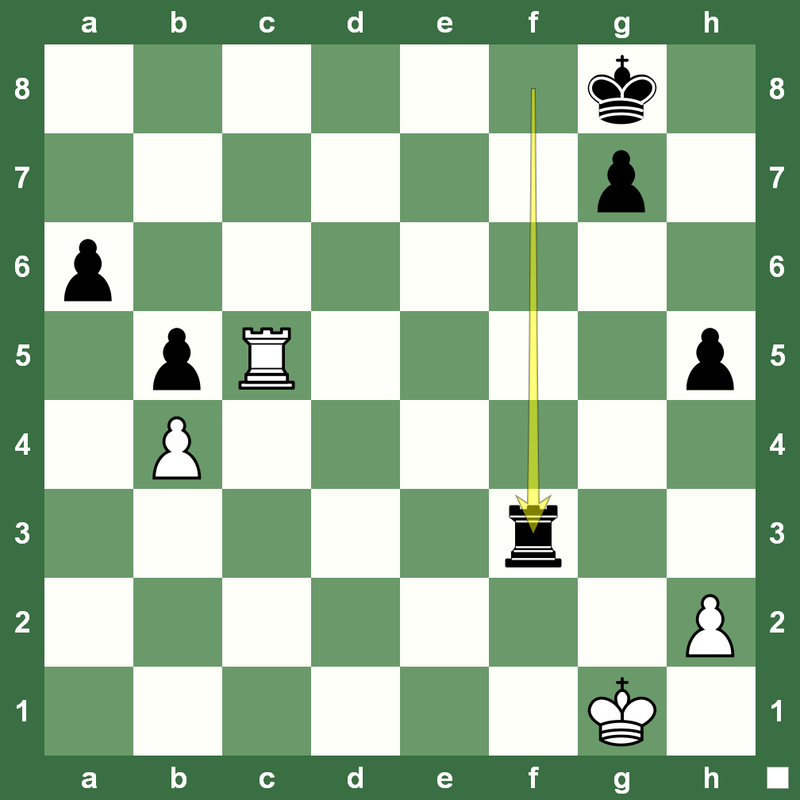 The latter’s blunder in middlegame and later time trouble allowed White to cruise to an important win. Replay the game below with Chess King. 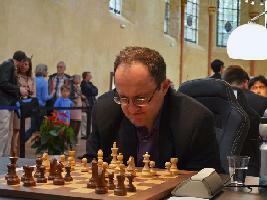 You can read a full report on the seventh round at this super chess tournament on Chess Blog. Heard of the Semi-Slav Moscow variation in chess? 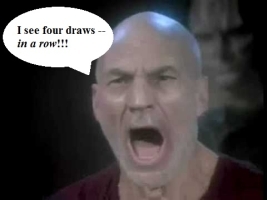 (1.d4 d5 2.c4 c6 3. 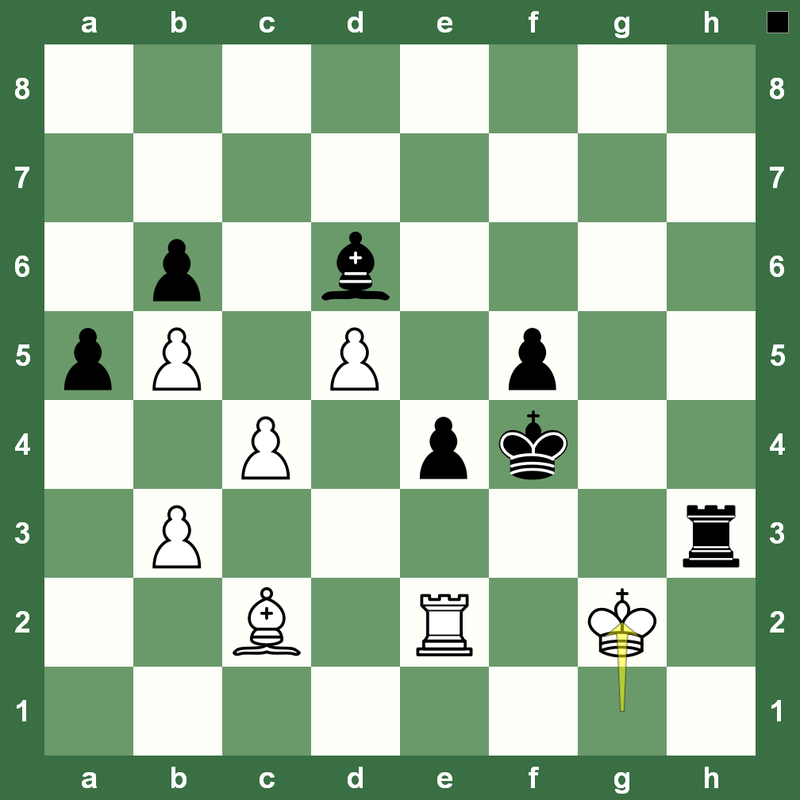 Nc3 Nf6 4.Nf3 e6 5.Bg5 h6) That’s the one that was employed in the Boris Gelfand-Rustam Kasimdzhanov game in the last round of the London Chess Grand Prix on Wednesday. 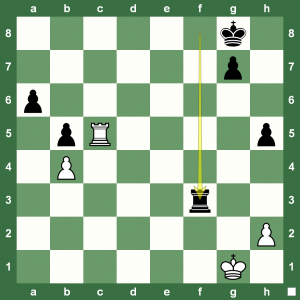 (Full report on Chess Blog.) Black sacrificed a pawn with 12. 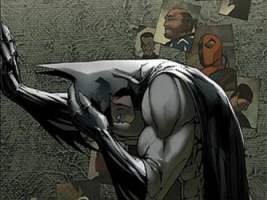 …c5, but couldn’t regain the compensation. White also sacrificed an exchange to build connected passer-pawns down the b- and c-file. 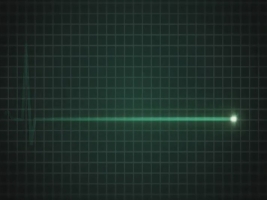 We pick up the game with the position on the left. 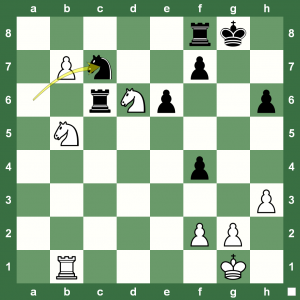 Black has just taken the pawn 40….Nxc7! Of course, it’s all won for White. 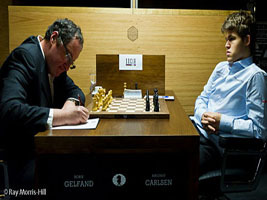 Understanding that the players were tired, Boris Gelfand played 41.Nxc7 and eventually won the game a few moves down. 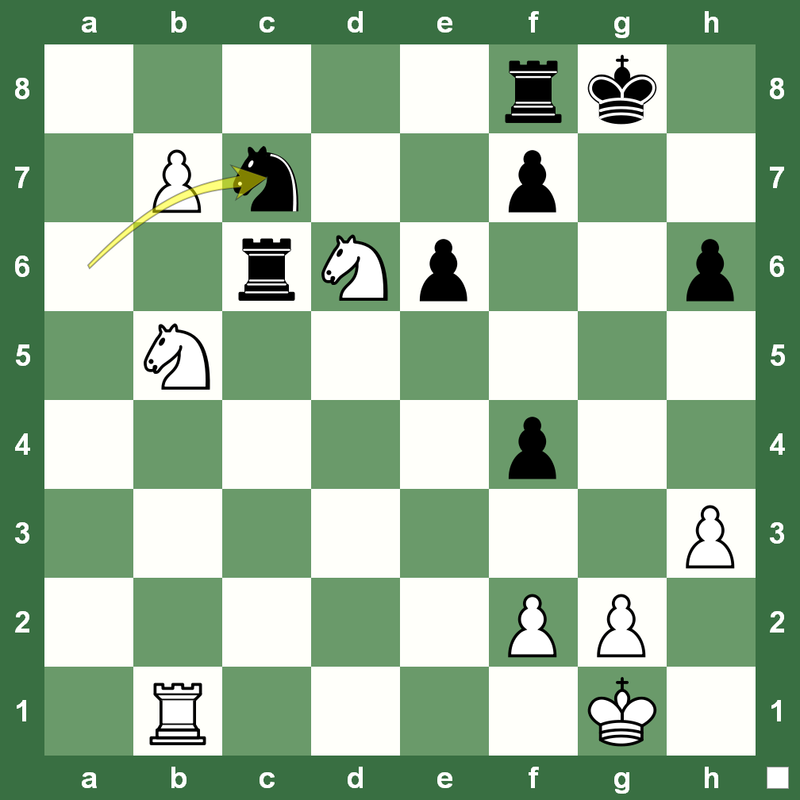 But, can you spot a real fun way/much stronger move to win the position at the 41st move for White? 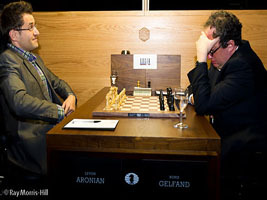 Round 9 was an exciting one at the London Chess Grand Prix with Alexander Grischuk beating Boris Gelfand. The latter has lead for much of the tournament and the lead now goes to Shakhriyar Mamedyarov. Read the full report on Chess Blog. 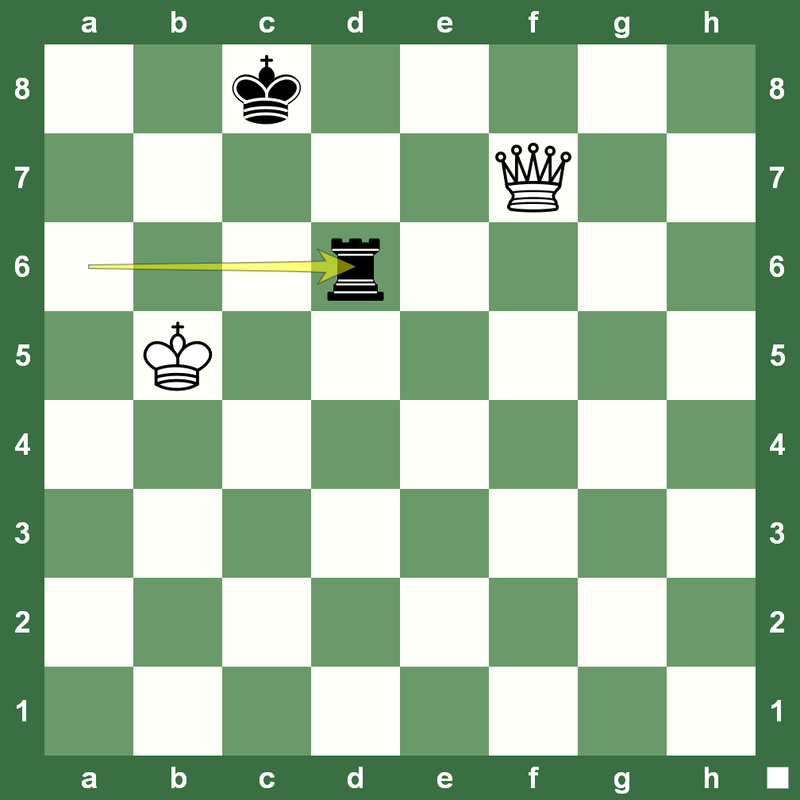 You can see the game below in Chess King applet. 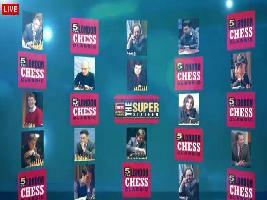 The London Chess Grand Prix has begun with a grand ceremony. 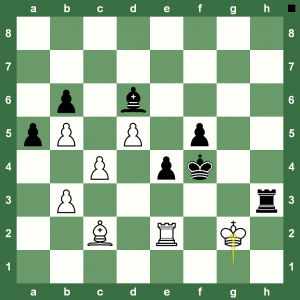 The first round (Report on Chess Blog.) 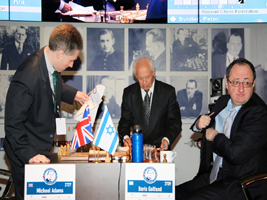 saw one decisive game between current US chess champion Hikaru Nakamura and world title challenger Boris Gelfand of Israel. The game is a lesson in King activity in the endgame. 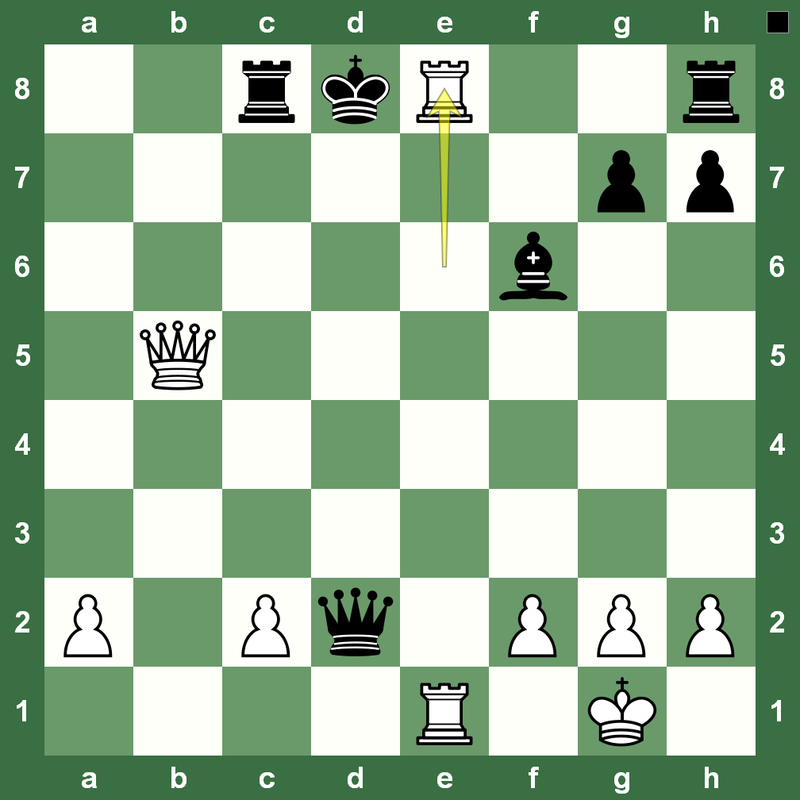 In the position on the left, what would be the best move for Black? “I did not expect that I would manage to win and now I am very, very happy. I am so pleased that I have managed to level the scores, that for the moment I am not thinking about tomorrow’s tie-break. 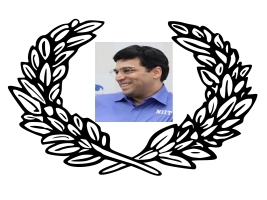 I will think about it later.” – World Chess Champion Viswanathan Anand remarked thus after winning the sixth game at the Lausanne, Switzerland World Chess Championship, 1998 when playing against Russia’s Anatoly Karpov – the 12th World Chess Champion. The World Rapid Chess Championship began in Astana, Kazakhstan today. 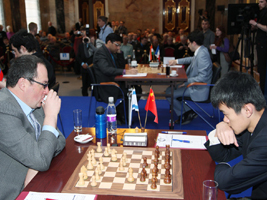 You can find a full report on the event at Chess Blog. Sergey Karjakin and Magnus Carlsen lead after the first day. 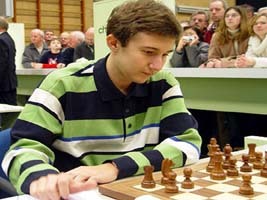 How about some Karjakin powerplay against none other than World Chess Championship 2012 challenger Boris Gelfand. 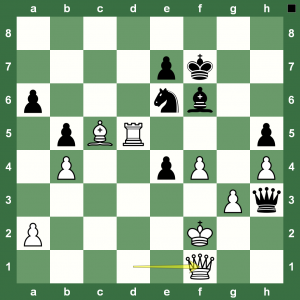 How to Prepare with Chess King to Beat World Chess Champion Vishy Anand! 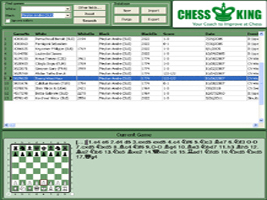 We have just received a lot of queries from Chess King users about whether they could actually use this amazing software to prepare for a match against the World Chess Champion Viswanathan Anand, his challenger Boris Gelfand, super-strong players like Peter Svidler… or, even Gary Kasparov!